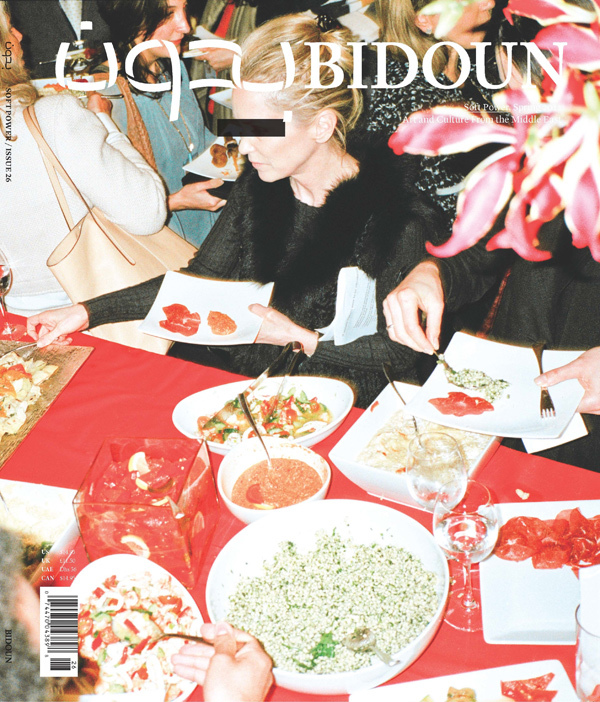 To purchase this issue visit Bidoun’s web shop here. The twenty-sixth issue of Bidoun, which considers art and patronage, state-sponsored media, cultural diplomacy, revolution and counterrevolution, nation and/or corporate branding, and potato chips as public relations. Artist Iman Issa will discuss monuments and mysteries, among other things, with Bidoun contributing editor Kaelen Wilson-Goldie, who writes about Issa in “Radical Subtraction.” Issa’s work, which was part of the recent New Museum Triennial, “The Ungovernables,” creates an eloquent language of forms to address unruly questions about place, power and memory. Writer Anand Balakrishnan will read from his story “The Serendipity of Sand,” which ponders the ultimate civilizational soft-power gambit — the monumental ruin — and what that might have to do with the zebra’s beguiling stripes. Bidoun senior editor Michael C. Vazquez will present outtakes from his essay “The Bequest of Quest,” which contemplates the curious legacy of Cold War magazines funded by the American CIA, including the Indian literary magazine Quest and the African journal Transition. A slide show of covers of nation-state self-help books, drawn from Shumon Basar and Parag Khanna‘s article “Soft Readers Prefer Hard Covers,” will be shown. Throughout the evening, Bidoun’s Tiffany Malakooti will play Iranian wedding trance and Lebanese happy softcore.